It explores the "soft" sciences, and especially the social sciences, rather than engineering or the "hard" sciences. Henry Kuttner was an American author of science fiction, fantasy and horror. Arthur Kelvin Barnes was an American science fiction author. Barnes wrote mostly for pulp magazines in the 1930s and 1940s. Barnes was most noted for his vivid and believable portrayals of alien life. As such, he is compared to Stanley G. Weinbaum. 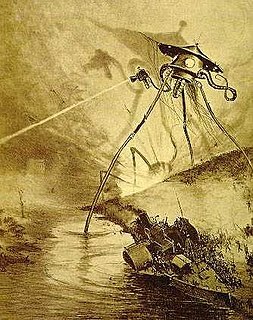 Before Barnes, SF writers usually portrayed aliens as earth-like monsters, with little originality. He was a member of the Mañana Literary Society. Several stories by Barnes were collaborations with the author Henry Kuttner, including several of the Hollywood on the Moon, Pete Manx, and Gerry Carlyle series of stories. The Hitchhiker's Guide to the Galaxy is a comedy science fiction series created by Douglas Adams. Originally a radio comedy broadcast on BBC Radio 4 in 1978, it was later adapted to other formats, including stage shows, novels, comic books, a 1981 TV series, a 1984 video game, and 2005 feature film. Douglas Noel Adams was an English author, scriptwriter, essayist, humorist, satirist and dramatist. 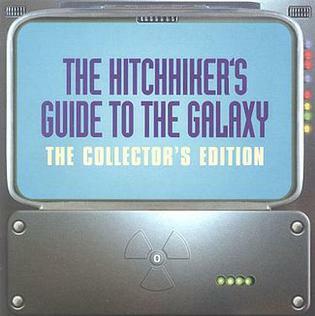 The Hitchhiker's Guide to the Galaxy is a science fiction comedy radio series written by Douglas Adams. It was originally broadcast in the United Kingdom by BBC Radio 4 in 1978, and afterwards the BBC World Service, National Public Radio in the US and CBC Radio in Canada. The series was the first radio comedy programme to be produced in stereo, and was innovative in its use of music and sound effects, winning a number of awards. Sir Terence David John Pratchett was an English author of fantasy novels, especially comical works. He is best known for his Discworld series of 41 novels. Strata is a science fiction novel by Terry Pratchett. 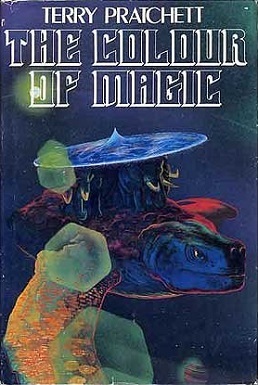 Published in 1981, it is one of Pratchett's first novels and one of the few purely science fiction novels he has written, along with The Dark Side of the Sun and The Nome Trilogy. Red Dwarf is a British science fiction comedy franchise which primarily consists of a television sitcom that aired on BBC Two between 1988 and 1999, and on Dave since 2009, gaining a cult following. To date, eleven full series of the show plus one "special" miniseries have aired. The most recent series, Red Dwarf XII, started airing in October 2017. Feminist science fiction is a subgenre of science fiction focused on theories that include feminist themes including but not limited to gender inequality, sexuality, race, economics, and reproduction. Feminist SF is political because of its tendency to critique the dominant culture. Some of the most notable feminist science fiction works have illustrated these themes using utopias to explore a society in which gender differences or gender power imbalances do not exist, or dystopias to explore worlds in which gender inequalities are intensified, thus asserting a need for feminist work to continue. Science fiction and fantasy serve as important vehicles for feminist thought, particularly as bridges between theory and practice. No other genres so actively invite representations of the ultimate goals of feminism: worlds free of sexism, worlds in which women's contributions are recognized and valued, worlds that explore the diversity of women's desire and sexuality, and worlds that move beyond gender. Slartibartfast is a character in The Hitchhiker's Guide to the Galaxy, a comedy/science fiction series created by Douglas Adams. The character appears in the first and third novels, the first and third radio series, the 1981 television series and the 2005 feature film. The character was modelled after actor John Le Mesurier. Ron Goulart is an American popular culture historian and mystery, fantasy and science fiction author. The Hitchhiker's Guide to the Galaxy is a science fiction comedy series created by Douglas Adams. Profanity in science fiction (SF) shares all of the issues of profanity in fiction in general, but has several unique aspects of its own, including the use of alien profanities. Discworld is a comic fantasy book series written by the English author Terry Pratchett (1948–2015), set on the Discworld, a flat planet balanced on the backs of four elephants which in turn stand on the back of a giant turtle. The books frequently parody or take inspiration from J. R. R. Tolkien, Robert E. Howard, H. P. Lovecraft, Charles Dickens and William Shakespeare, as well as mythology, folklore and fairy tales, often using them for satirical parallels with cultural, political and scientific issues. The BSFA Awards are given every year by the British Science Fiction Association. The BSFA Award for Best Media was given for the best media science fiction or fantasy published in the previous calendar year. It was discontinued in 1992. ↑ "Comedy Science Fiction". Sfbook.com. Retrieved 2016-03-02. ↑ Compare: The Animal Fable in Science Fiction and Fantasy, Bruce Shaw, McFarland, 2010, page 19: "[...] the objective of making social comment, if not social change, is to be found in those earlier forms." ↑ "Jo Kent saves cult hg2g game from scrapheap" . Retrieved 2014-06-24. ↑ "The Hitchhiker's Guide to the Galaxy". Douglasadams.com. Retrieved 2014-06-24. ↑ Gaiman, Neil (2003). Don't Panic: Douglas Adams and the "Hitchhiker's Guide to the Galaxy". Titan Books. pp. 144–145. ISBN 1-84023-742-2. ↑ Simpson, M. J. (2005). The Pocket Essential Hitchhiker's Guide (Second ed.). Pocket Essentials. p. 120. ISBN 1-904048-46-3. ↑ "The Ultimate Reference Guide to British Popular Culture". Oxford Royale. 23 November 2016. ↑ Moody, Nickianne (2016). Matthews, Nicole, ed. 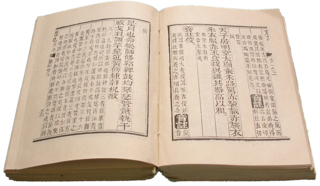 Judging a Book by Its Cover: Fans, Publishers, Designers, and the Marketing of Fiction. Routledge. ISBN 9781351924672 . Retrieved 2018-04-28. Pratchett was associated with irreverent and comic writing which is an established sub genre in science fiction - for example Strata (1982) a parody of Larry Niven's Ringworld[,] a classic science fiction series. ↑ "Red Dwarf XII" . Retrieved 21 August 2017.